The true wine lover never resigns from his favorite drink. 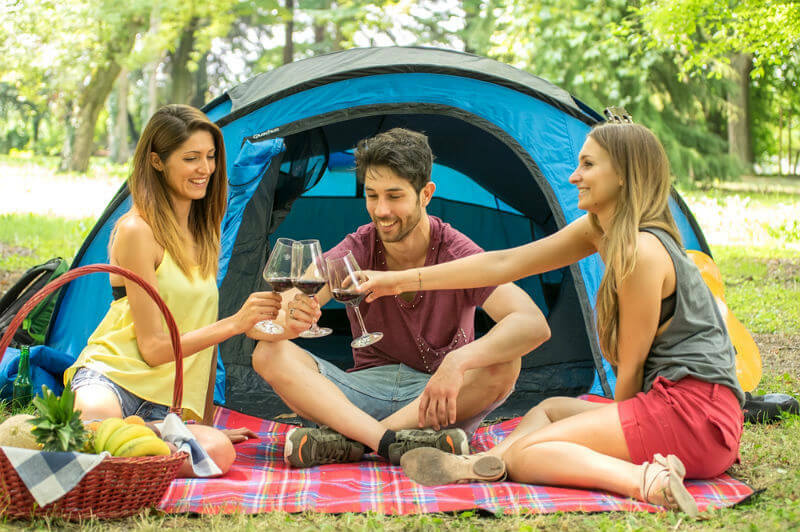 Camping is an entertaining way to spend time and you can even organize a birthday party or a trip for friends. How to prepare it and don’t miss the wine? 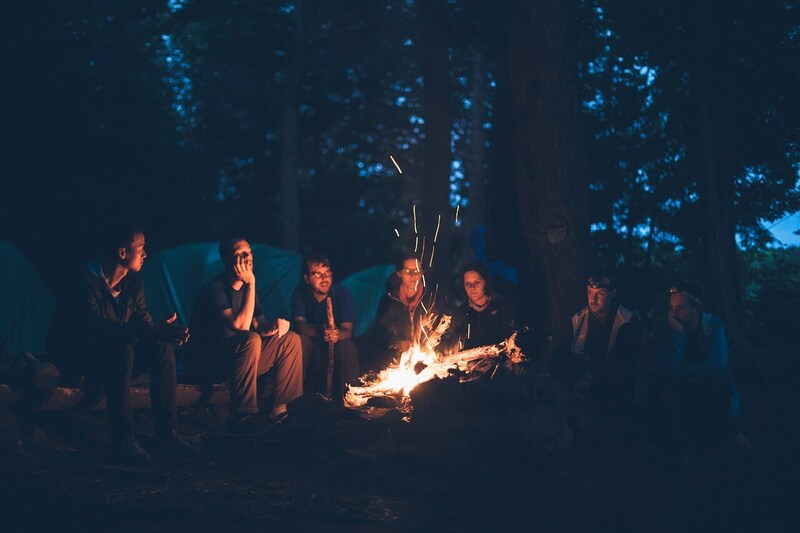 The key questions to organize a camping are: when (which season of the year and what are the climatic conditions), where and what style of camping (tent, camper, cabin, etc.). Before the wine selection, I recommend you to prepare a checklist with all the things you should take. Do not forget matches, flashlight, knife, adequate clothing and, above all, a corkscrew. When all the logistics bases are covered, think about the wines. The number of bottles depends on the number of people and days, multiplied by the meals (lunches and dinners). I leave you with the mathematics. You know your friends. Some drink more than others. As a basic inventory, you must have glasses (they can be cristal, but also plastic). More than one corkscrew, because at least I always get lost one. Also, do not forget a cooler or a portable refrigerator to lower the temperature of the wines before the service. The selection of wines will depend on the menu. If your camping destination is the beach, you will have access to fresh seafood. Obviously think of white wines like Sauvignon Blanc and Chardonnay. A tip: if you also have a recipe based on chicken or some rich snacks like several types of cheese, include some white blend like Devil’s Collection White, a very versatile wine which goes well with light summer food. 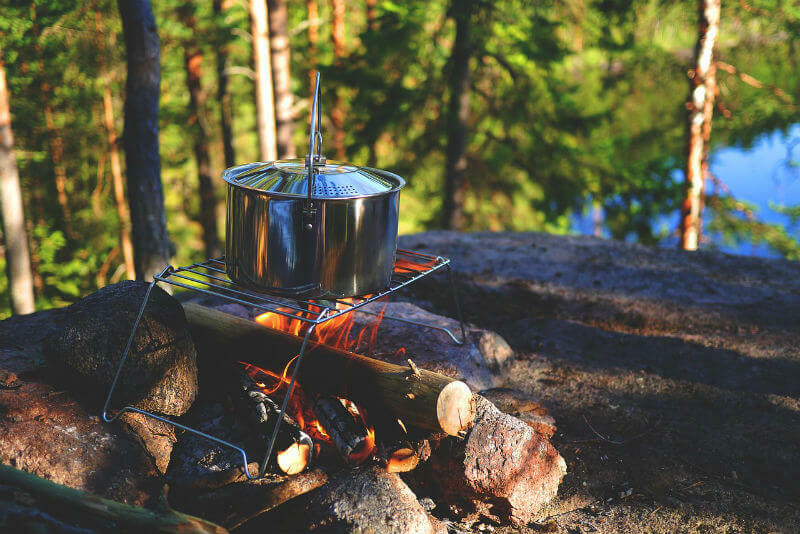 Now, if your campsite is located in a landscape of lakes, rivers and forests, change the chip and think of a large grill with sausages and different cuts of meat. In that case, I recommend that your wine box includes a selection of reds such as Casillero del Diablo Carmenere, Malbec, Merlot and Cabernet Sauvignon. And for a rich dessert, you and your guests can play with spices and fruit to prepare a delicious sangría of red or white wine. Do not forget that while camping you can eat a lot of fast and fresh food, like some nice salads or sandwiches. 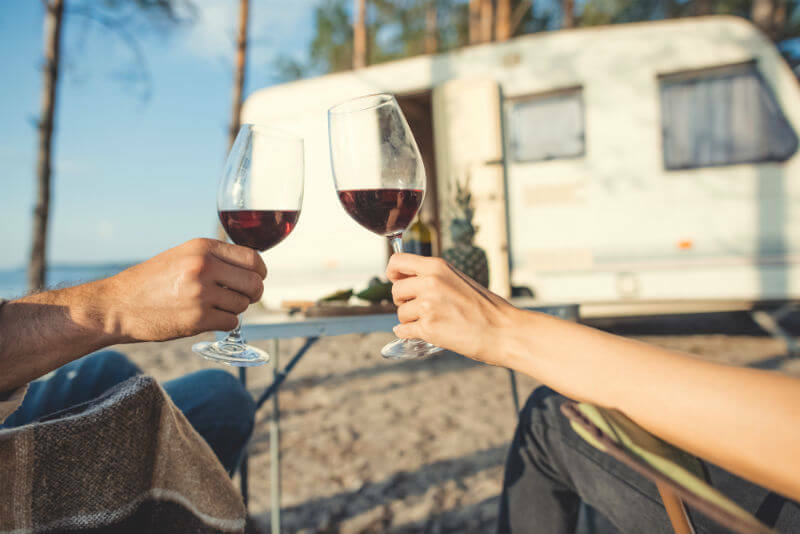 That’s why my box of wines for camping is always full of Casillero del Diablo Rosé because it goes super well with Greek salads, tuna or ham sandwich, and even with a crispy baguette with tomato and basil. But, if you are in the mood for something more glamorous, take with you some delicious crackers (today the offer is endless, from gluten-free to sophisticated preparations with different grains and salt levels), pâté and more than one bottle of sparkling wine. Use your creativity and prepare some games and crafts with bottles and corks. I like to paint bottles with acrylics. It is a wonderful gift for friends. It also serves in the house as decoration. Imagine a bottle of white wine painted with beautiful colors that can then be used on the table for water or a lemonade. If you like nature and the idea of ​​escaping from the city, camping is ideal for you. With a rich meal and your favorite wines, you can spend unforgettable moments. The only thing I ask: do not forget the corkscrew.